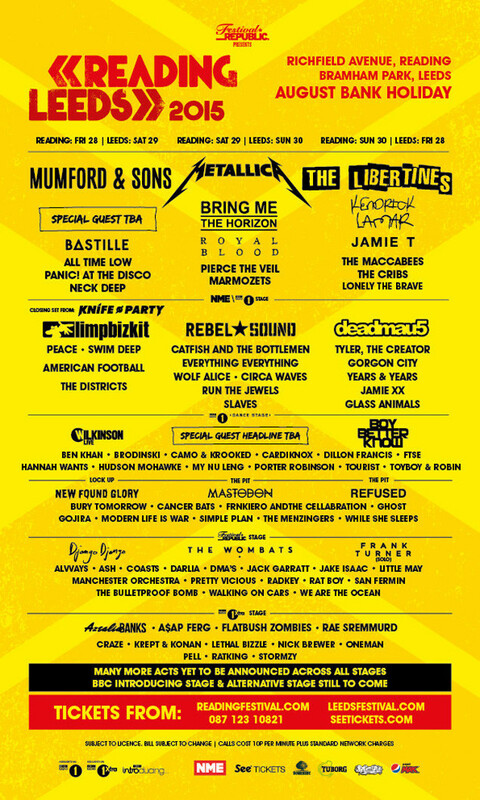 HomeNewsNEWS: Reading/Leeds Festivals confirm new acts for 2015, including Bring Me The Horizon, Mastodon, Limp Bizkit, Cancer Bats and more! This year’s Reading/Leeds Festival weekend takes place on August 28th-30th 2015 at Richfield Avenue, Reading and Bramham Park, Leeds. You can find more information on the official Reading Festival (here) and Leeds Festival (here) websites respectively. NEWS: Demob Happy announce March/April UK tour! NEWS: Bring Me The Horizon announce intimate London show for February!